Unless you've been living in a cave with a bunch of dudes who grunt and wear loincloths, you will have noticed that nail art has become a pretty big thing. Like, huge, actually. This global phenomenon, which began about two years ago, has grown in popularity world wide and has moved from simple designs on digits to full blown pieces of art utilising everything from glitter and studs to Swarovski crystals. Melbourne Nail Art group I Scream Nails is perhaps one of Melbourne's best known nail art companies, who regularly provide pop-up funness all over Melbourne! 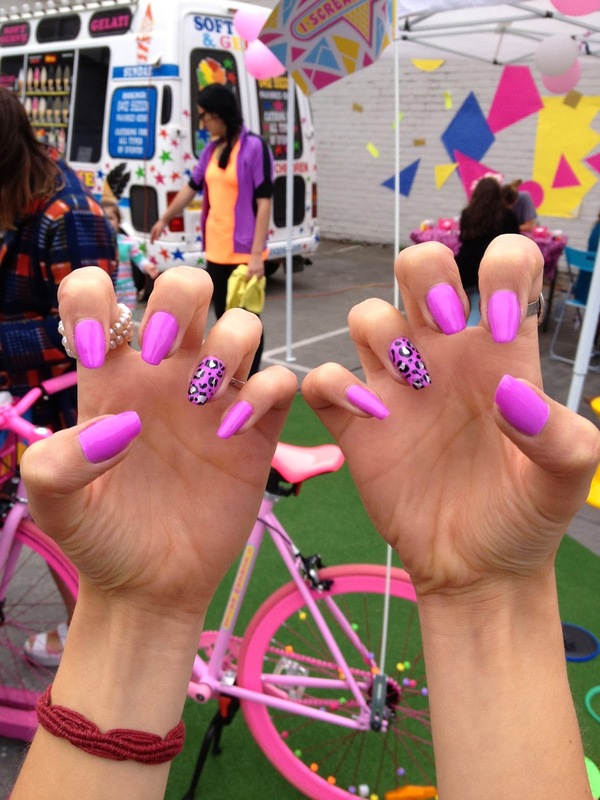 Two weeks ago they held a pop-up nail art fiesta complete with free ice cream and, of course, free nail art, to launch the new nail art bike which will now be cruising its way through Melbourne's streets. And if that wasn't enough, they also organised an appearance from the How Two Live girls of fashion blogging and Instagram fame. Needless to say, I was there faster than top-coat dries. 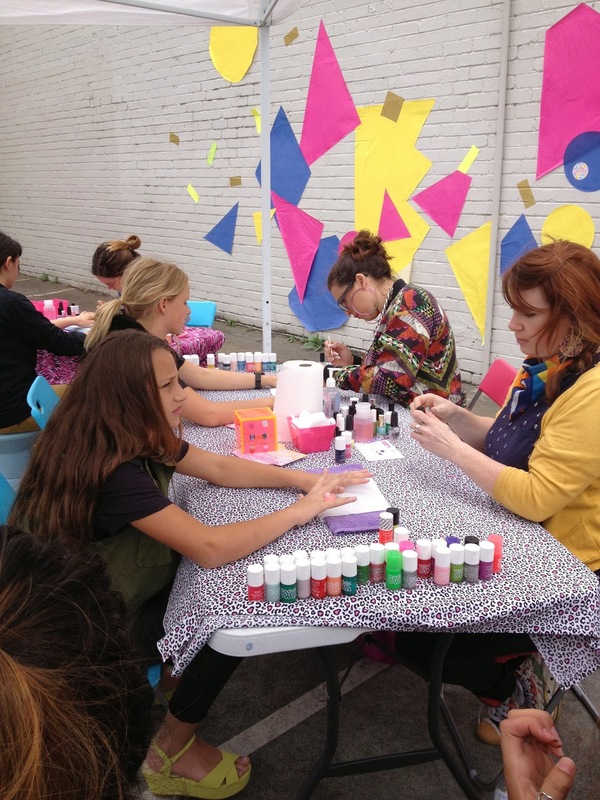 The talented and chirpy nail artists worked their magic, the How Two live twins chatted away to the crowds and girls happily slurped away on soft serves. 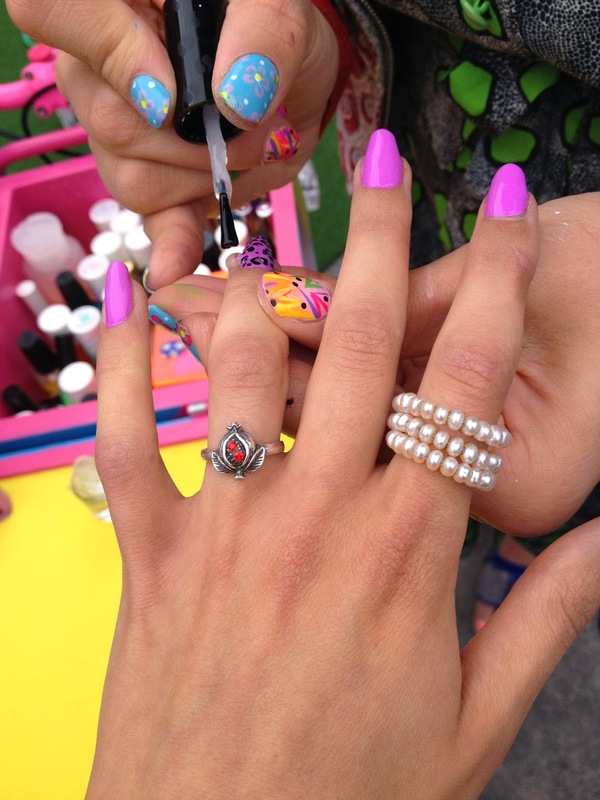 Seriously, an afternoon with free ice cream, free manicures and special blogging guests - its no wonder nail art has become so popular...I was half expecting a unicorn to turn up!